Holi Bhai Dooj is celebrated just after Holi in the major parts of Uttar Pradesh. It is a Hindu festival for brothers and sisters – their bond strengthens. This festival is celebrated on the second day, which means, Dwitiya Tithi, as per Hindu Calendar. Holi Bhai Dooj is a less known festival but is popular in some regions. In order to observe Holi Bhai Dooj, it is essential that Dwitiya Tithi prevails. Therefore, depending on the day of Holika Dahan, Holi Bhai Dooj is observed either next day or the second day after Rangawali Holi. 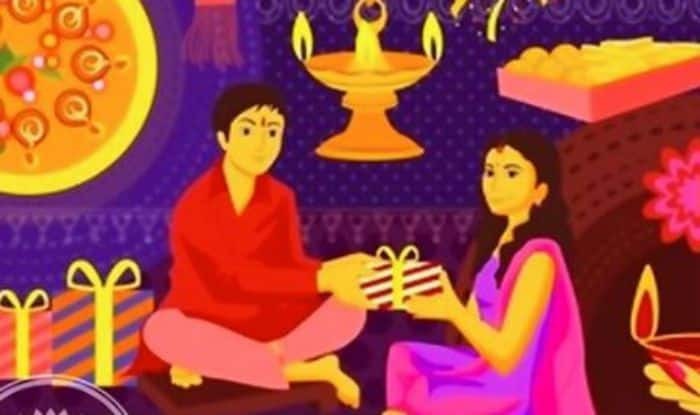 In 2019, Holi Bhai Dooj falls on March 22. There are two Bhai Dooj as per Hindu calendar. The more popular Bhai Dooj is the one is that is observed for two days after Deepavali Pooja. On Holi Bhai Dooj, sisters offer prayers for their brother’s well-being, perform aarti and cook special meals. The puja thali comprises of sweets, fruits, paan, diya, kumkum, rice, batashas, and coconut. Sister applies tikka on brother’s forehead and presents him the sweets, fruits, and coconut from the thali. It is also said that taking a dip in the Yamuna River helps to protect the death of the sibling.